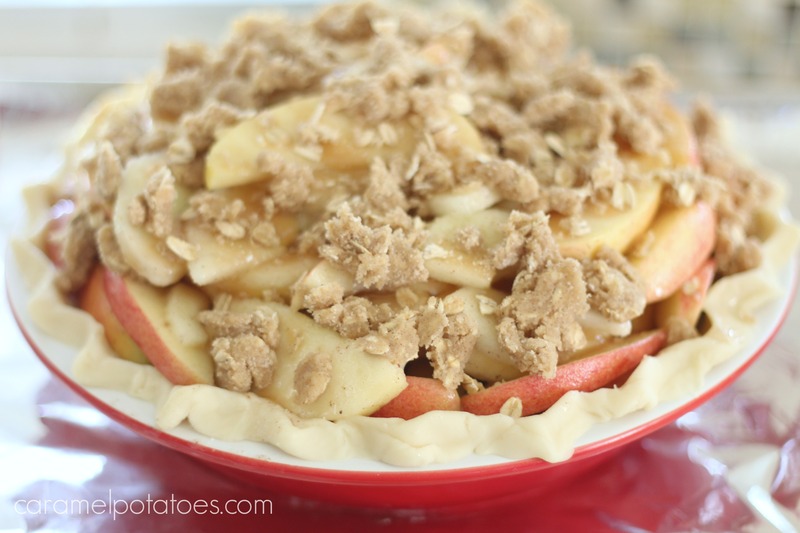 You really can’t have Thanksgiving with pie can you? 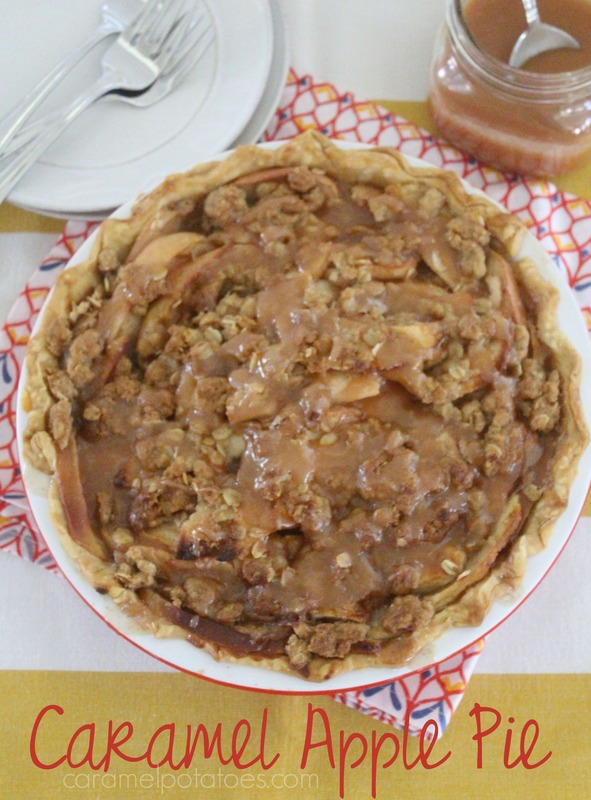 This Deep Dish Caramel Apple Pie is sure to be a crowd-pleaser at your upcoming celebration. 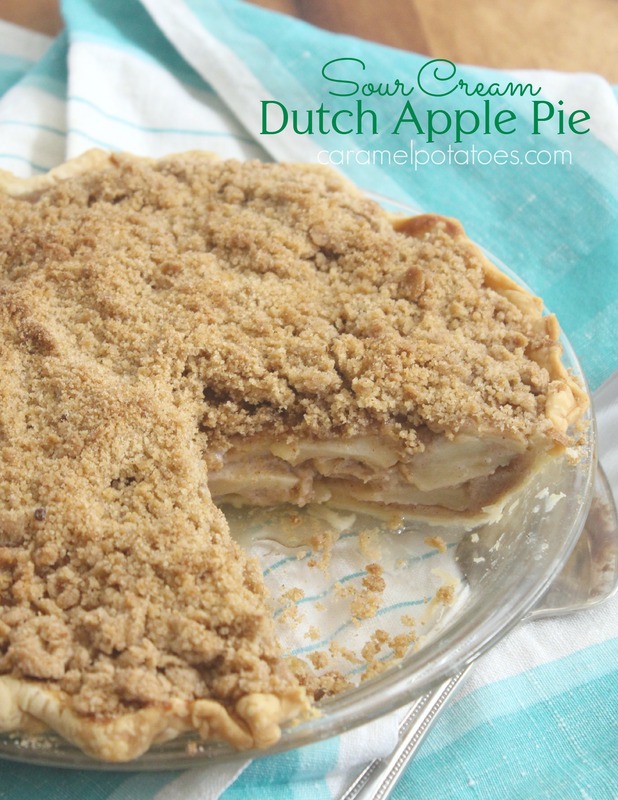 This pie is loaded with apples, drizzled with homemade caramel and sprinkled with crumb topping before it bakes. 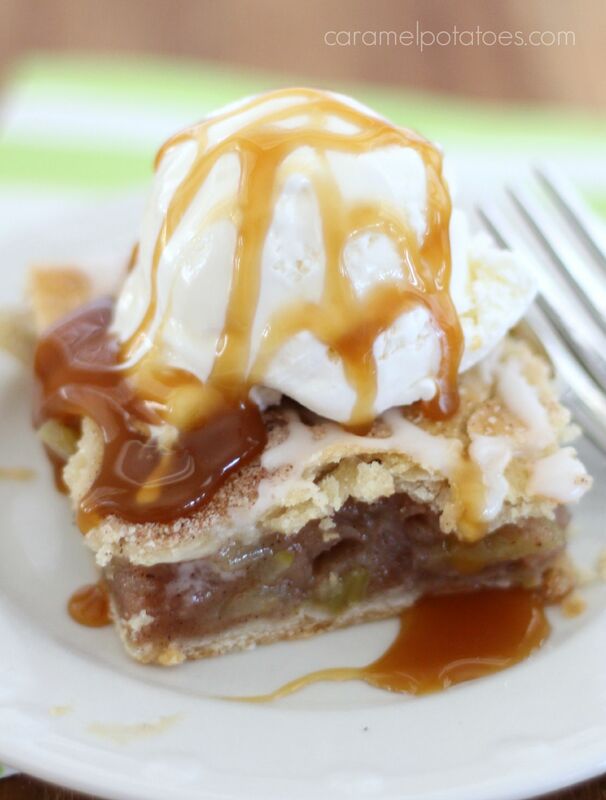 Once it’s ready to serve, add another drizzle of caramel, and maybe a scoop of ice cream, for a holiday pie that will have everyone requesting seconds. You may also consider our Pumpkin Chess Pie with Praline Pecan Sauce, Salted Caramel Pie, or Chocolate Hazelnut Pie to go with your Holiday feast. Labor Day weekend is here. This No-Bake Blackberry Lemonade Pie is a refreshing way to celebrate our last hurrah of summer before we totally start craving everything pumpkin! (Yes, I admit, I can’t wait) But for now this refreshing taste of lemon and sweet blackberries is perfect for a warm summer day with friends. 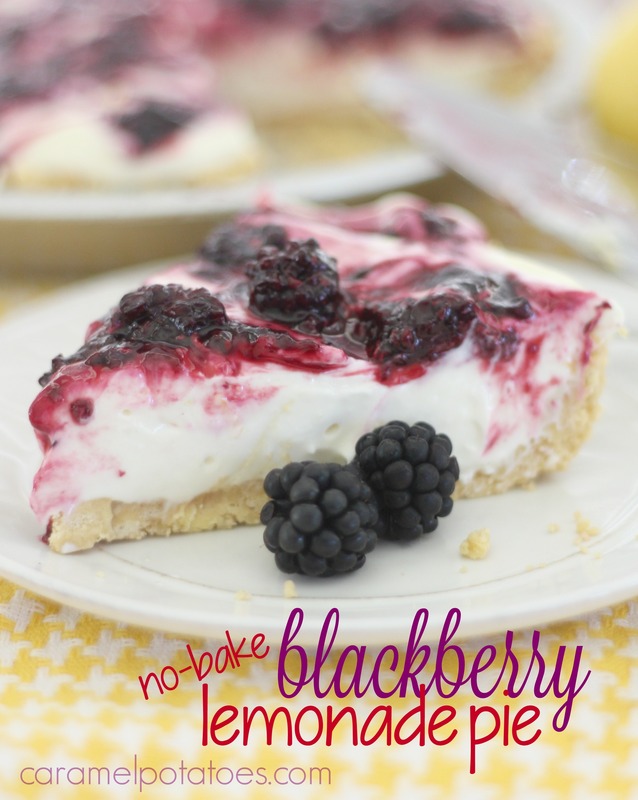 It all begins with a Lemon Cream Oreo Crust, followed by a lemon-cream cheese filling, and finally topped off with a fresh swirl of fresh blackberry sauce which all adds up to YUM. Did I mention it’s no bake? Summer is still looking delicious! 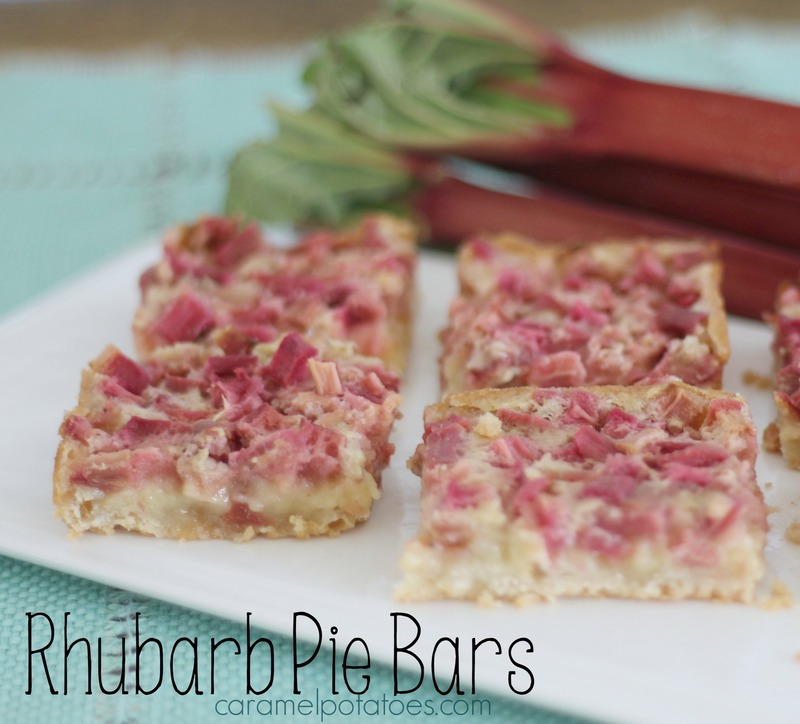 Okay Rhubarb lovers – this one’s for you! 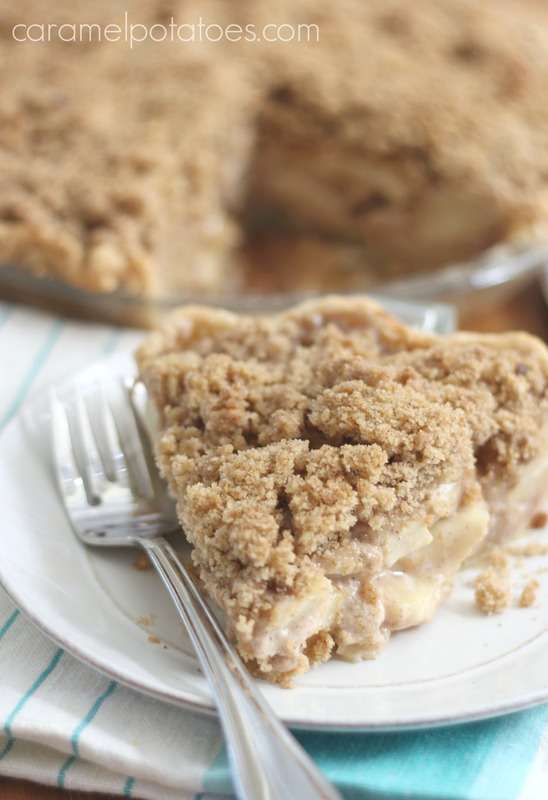 My mom’s Rhubarb Custard Pie has always been my personal favorite. 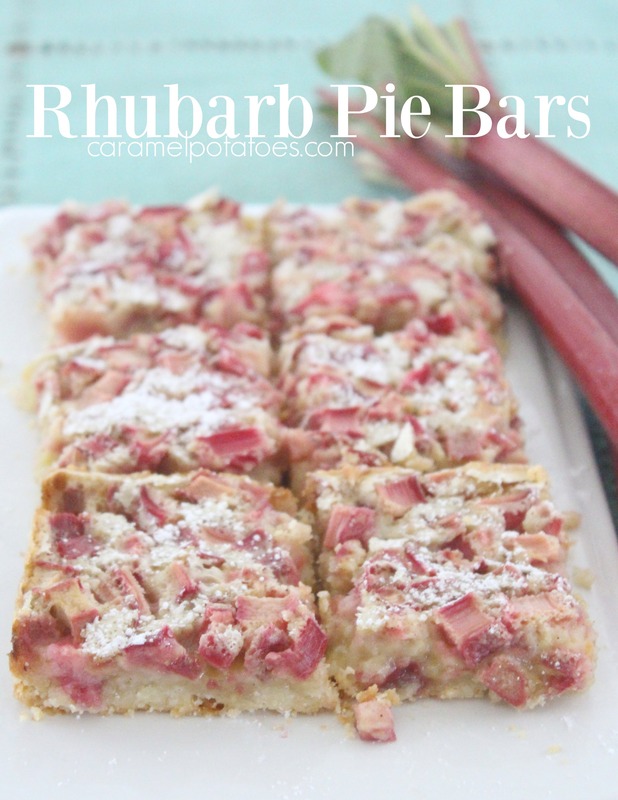 I love the mix of the tart rhubarb combined with the creamy filling – perfection. 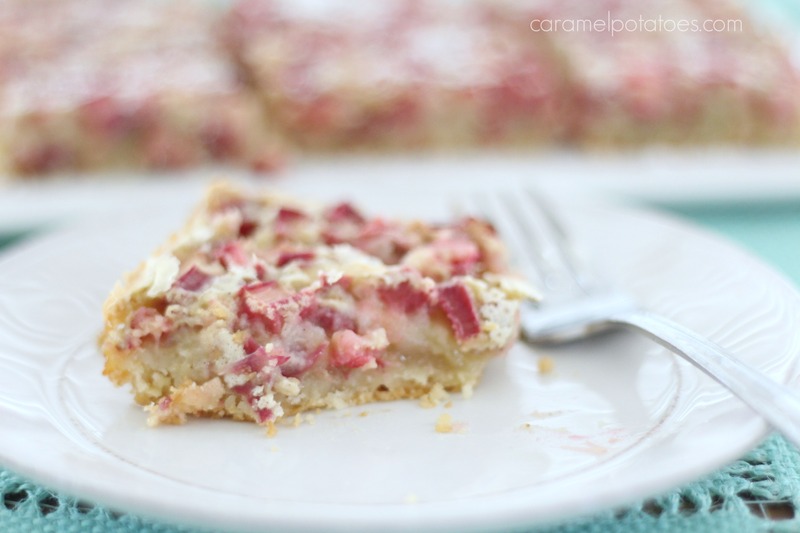 These Rhubarb Pie Bars have that same great flavor in an easy-to-make bar. 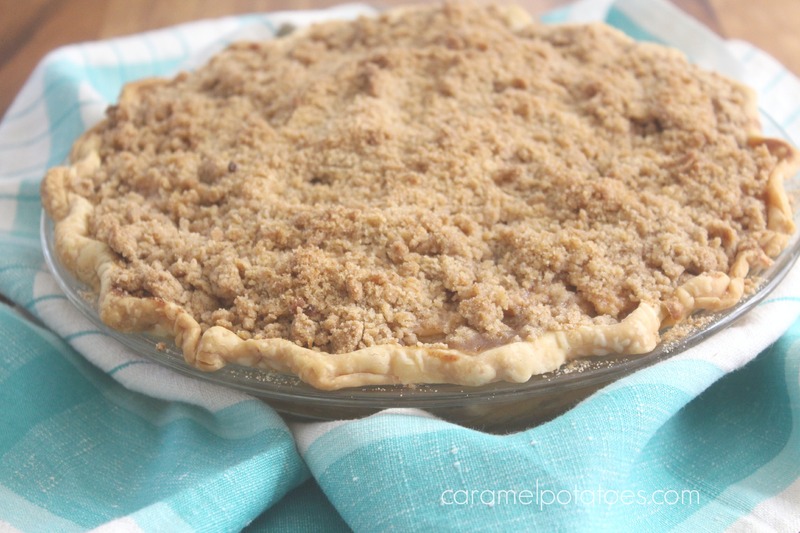 A simple shortbread crust is a yummy stand-in for the pie crust and the taste is just like the amazing pie. 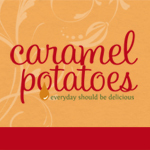 It happens every year in September – a deep craving for fall! 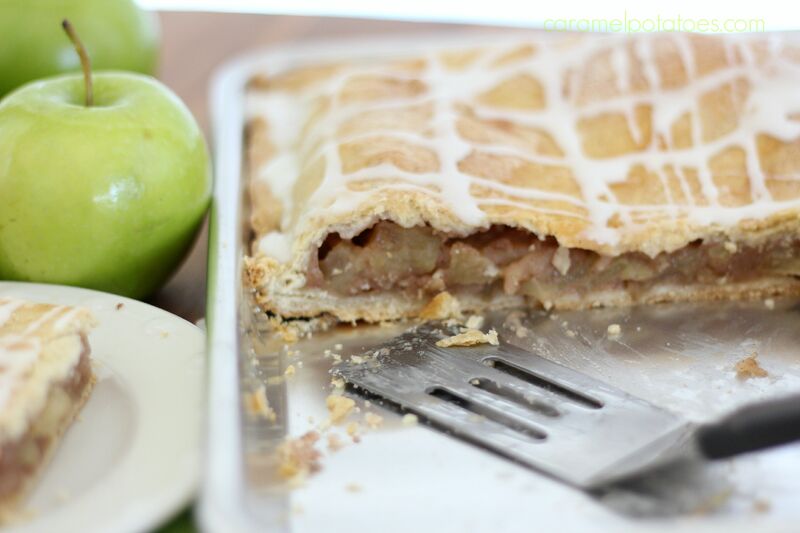 Of course that includes apple pie and all the wonderful flavors fall has to offer. 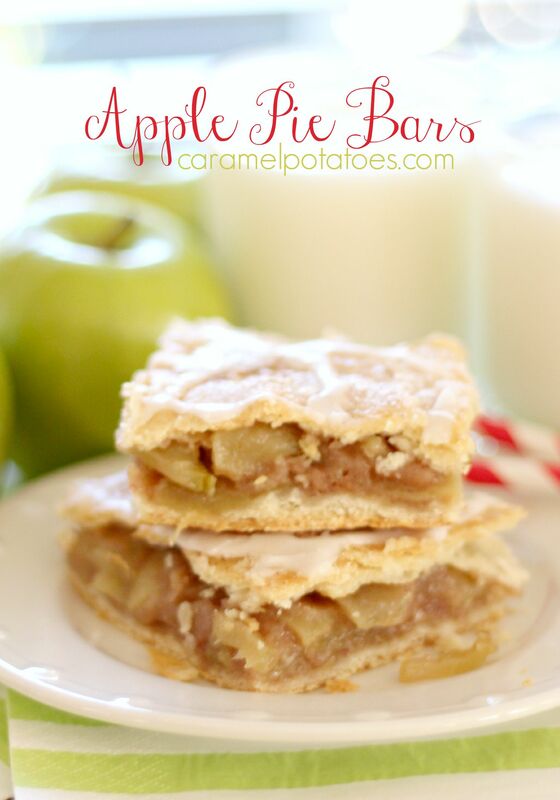 I love these Apple Pie Bars for any gathering; the taste of apple pie in an easy to serve bar. 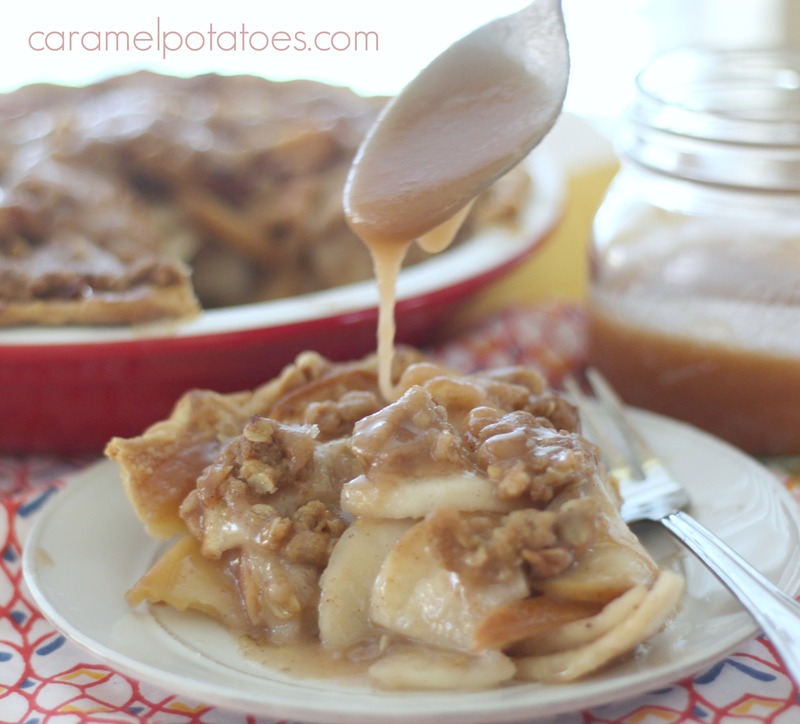 You can serve them as is, or to take things completely over the top, serve them warm out of the oven with a scoop of ice cream and a drizzle of caramel! 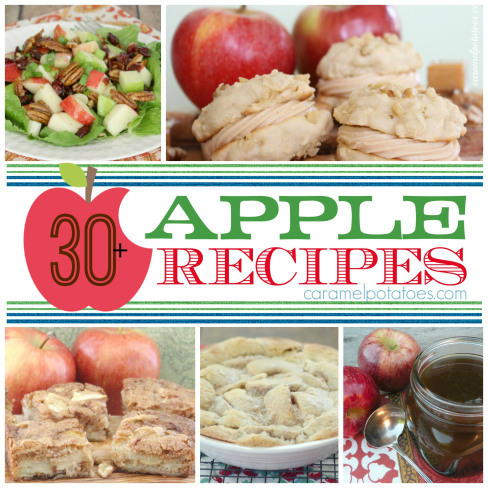 For more great Apple Goodness, check out our favorites here!